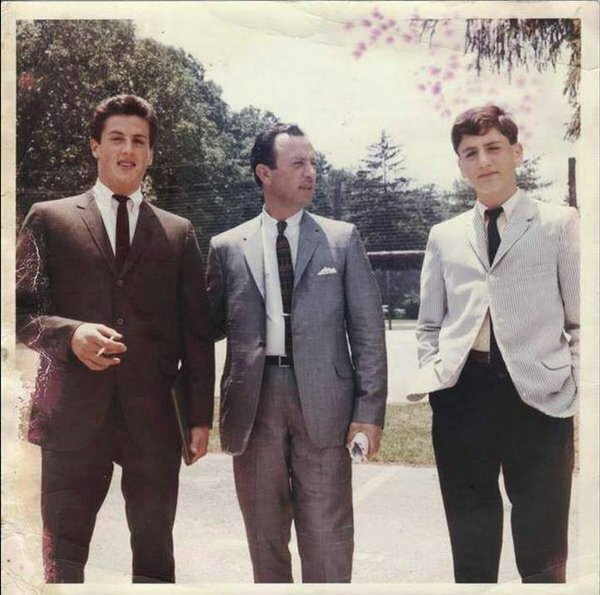 Sylvester Stallone (left) with father and brother. . Wallpaper and background images in the Sylvester Stallone club tagged: photo sylvester stallone rocky rambo work out. This Sylvester Stallone photo contains traje de passeio, terno de negócio, terno, terno de roupas, terno de roupa, and terno de três peças.